Against the Grain Hardcover and eBook Versions Are Now Available! Previous article: Book Launch for My Book Against the Grain! Next article: Kick the Sugar Habit! 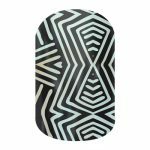 Over 8 months ago, I began working on a product that is very exciting for me. Creating it was a wonderful experience, and I’m so happy the time has come for me to share it with you. 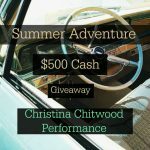 I’m delighted to present to you Against the Grain Featuring Christina Chitwood, Brian Tracy & Leading Experts from Around The World Who Reveal: How To Achieve Positive Results in a Down Economy! Both the hardcover and eBook versions of Against the Grain are now available! 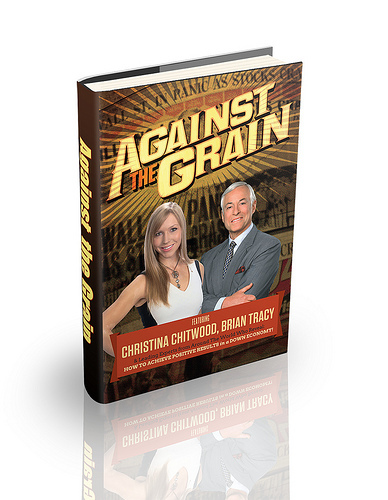 Against the Grain: Featuring Christina Chitwood, Brian Tracy & Leading Experts from Around The World Who Reveal: How To Achieve Positive Results in a Down Economy! The phrase “Against The Grain” has been in known written use since the early 17th century, but its meaning has not changed over the years. In 2013, we apply this phrase to non-traditionalists who work outside of the norm or commonly-accepted thought patterns. Entrepreneurs, in particular, are well-known for using this non-traditional approach to attain success in their unique endeavors, and the celebrity experts in this book have survived and thrived in the midst of the constantly-changing marketplace – going “Against The Grain.” Successful entrepreneurs, including our experts, have often made decisions that appear unusual and go “Against The Grain.” They carefully assess the conditions and make decisions that many would claim foolhardy, risky or illogical. However, they are not bystanders – they have achieved their goals! Have you? The experts in this book include entrepreneurs, mentors and coaches. They go a step further and empower you with the secrets of their success. To the reader who wants to enjoy success, these experts will share proven ways to move forward with their plans, the mindset required and the way to do it. They will be formidable guides. So, to move forward, follow the celebrity experts and go “Against The Grain”…. My contribution to the book is about “Releasing the Athlete Inside You” through fitness, nutrition, business mastery, and positive lifestyle. I received the Editor’s Choice Award for my contribution in Against the Grain! Yesterday, the hardcover book reached best-seller status on 5 lists! Against the Grain hardcover and eBook versions are now available at the Fit Body Full Life Online Store. This book was such a joy to create, and I hope you enjoy reading it as much as I enjoyed writing it. Book Launch for My Book Against the Grain! I’ve Been Chosen to Be in the Book Against the Grain! Event Preparation Experiment – I’m Excited! Event Preparation Experiment – I'm Excited! Congratulations on becoming a published author! It really does take some ingenuity to become established or keep a good position in this economy, so this ought to be a valuable contribution.